The AR platform is popular for personal/home defense. 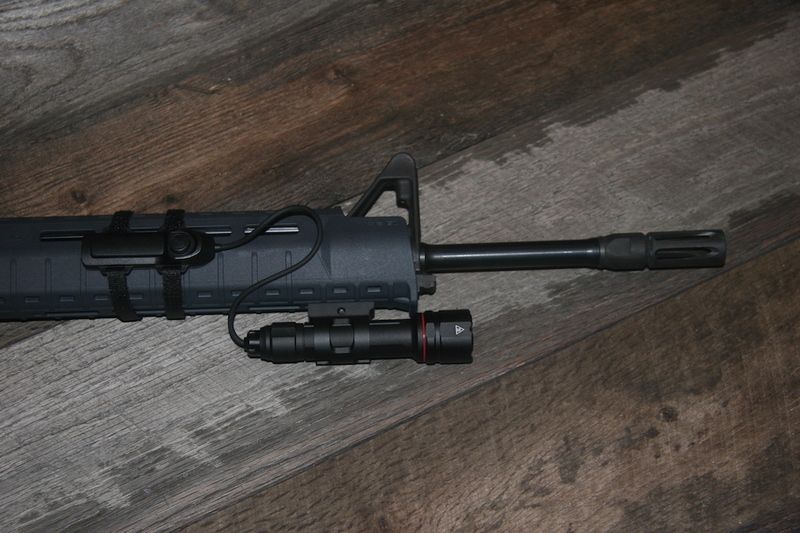 Crimson Trace recently introduced an aftermarket tactical light, the CWL-202, for rail-equipped long guns. We are going to kick off a series of how-to articles that feature one of the country’s top trainers giving us recommendations on how to use Crimson Trace products. We’ll begin with the Crimson Trace Tactical Light. I have taken a few courses where we learned, as part of the program, to clear houses, and that information will help with how to open doors and move strategically from one area to another. The lighting techniques? Adding that to movement is the tricky part, but important. Since I have no clue on how to use a weapons light, I went to a knowledgeable source, firearms instructor Chris Cerino, of the Cerino Consulting & Training Group, to get information about how to train with lights on an AR. Chris said, “Using a weapon mounted light carries some responsibility since you are pointing a gun at everything you light up.” This is where and why movement comes into the picture, and of making sure you identify your target first, before taking a shot. 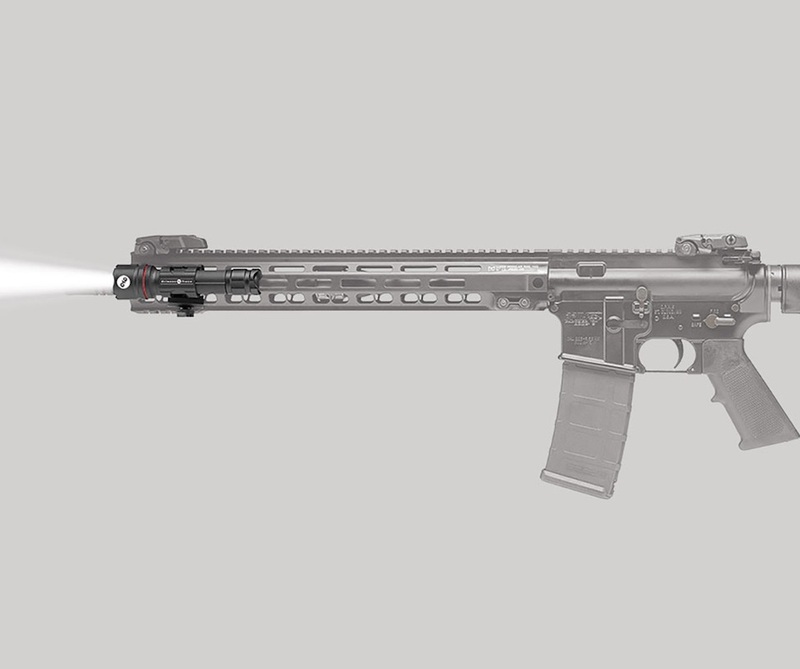 From the Crimson Trace website, which shows the light on this Smith & Wesson AR15. 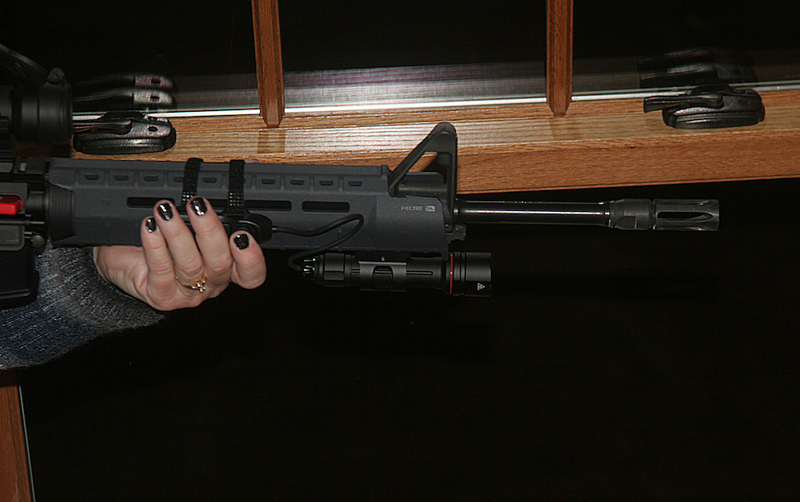 Why use the Crimson Trace Tactical Light? The CWL-202 Tactical Light comes in either 500 Lumen or 900 Lumen models. I used the 900-Lumen, white light model. If offers a tap-on/tap-off tail cap activation and remote on/off pad for personal customization. It fits rifles, carbines or shotguns that have M1913 Picatinny, Keymod® or M-LOK® style accessory rails. Chris stressed that it takes time and practice to get comfortable with a weapon-mounted light. To run these drills, it is best to wait until it is dark or nearly so in the place where you intend to practice. Be sure to follow all the rules for safe gun handling in this situation. We repeated the drill and Hubby tried it. It’s imperative to put yourself into these types of training situations. Let your brain see what it’s like to move through your home in the dark with a firearm, and what a sudden flash of light looks like and how far it will cast a beam. Also, allow yourself to feel the threat. This is the pressure that makes us stronger and more capable. 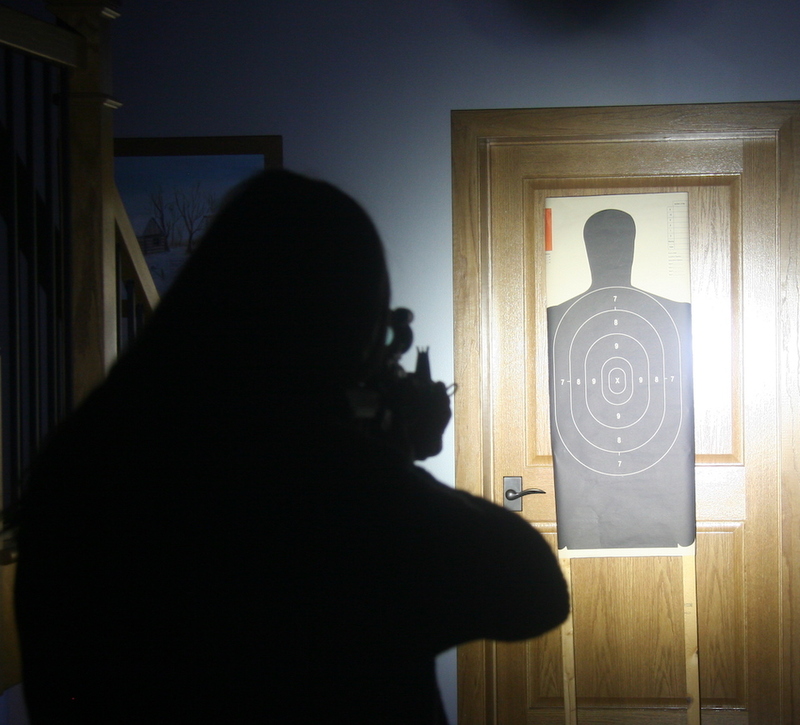 Next week, we intend on taking the targets outside to the range for low-light live fire and moving drills. Stay tuned. Visit Crimson Trace to see this Tactical Light here. Normally $99.99, now on sale for $79.99. Train with Cerino Consulting & Training Group in 2019.